Sustainable Neighbourhood volunteers enjoyed a relaxed catch up and end of year celebration in November. 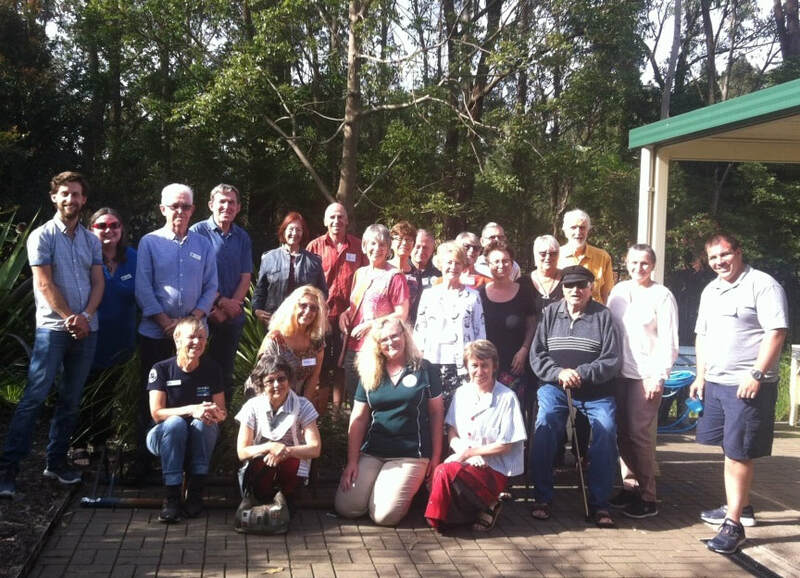 Mayor of Lake Macquarie, Councillor Kay Fraser welcomed volunteers, and thanked everyone for the important work that Sustainable Neighbourhood groups do. We also welcomed two special guests, and took the opportunity to discuss and do some planning for 2018. Jonathan Wood, Council Senior Sustainable Living Officer. Jonathan discussed ideas about how Sustainable Neighbourhood groups can encourage uptake of solar power in Lake Macquarie. Cathy Stuart, Upcycle Newcastle. Cathy spoke about various upcycle projects and opened discussion about how we can work together more. Thanks everyone for attending, and for bringing these delicious plastic-free treats!